KEEP PASSING THIS AROUND UNTIL EVERY ONE HAS HAD THE OPPORTUNITY TO READ IT… THIS IS SURE SOMETHING TO THINK ABOUT!!!! 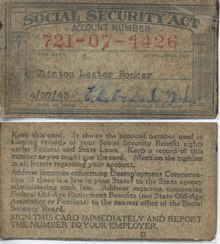 THE ONLY THING WRONG WITH THE GOVERNMENT’S CALCULATION OF AVAILABLE SOCIAL SECURITY IS THEY FORGOT TO FIGURE IN THE PEOPLE WHO DIED BEFORE THEY EVER COLLECTED A SOCIAL SECURITY CHECK!!! WHERE DID THAT MONEY GO? Remember, not only did you and I contribute to Social Security but your employer did, too. It totaled 15% of your income before taxes. If you averaged only $30K over your working life, that’s close to $220,500. Read that again. Did you see where the Government paid in one single penny? We are talking about the money you and your employer put in a Government bank to insure you and I that we would have a retirement check from the money we put in, not the Government. Now they are calling the money we put in an entitlement when we reach the age to take it back. If you calculate the future invested value of $4,500 per year (yours & your employer’s contribution) at a simple 5% interest (less than what the Government pays on the money that it borrows), after 49 years of working you’d have $892,919.98. If you took out only 3% per year, you’d receive $26,787.60 per year and it would last better than 30 years (until you’re 95 if you retire at age 65) and that’s with no interest paid on that final amount on deposit! If you bought an annuity and it paid 4% per year, you’d have a lifetime income of $2,976.40 per month. Another thing with me…. I have two deceased parents before one percent of their social security could be drawn. I worked all my life and am drawing 100% on my own social security). Their S.S. money will never have one cent drawn from what they paid into S.S. all their lives. THE FOLKS IN WASHINGTON HAVE PULLED OFF A BIGGER PONZI SCHEME THAN BERNIE MADOFF EVER DID. Entitlement my foot, I paid cash for my social security insurance! Just because they borrowed the money for other government spending, doesn’t make my benefits some kind of charity or handout!! Remember Congressional benefits? — free healthcare, outrageous retirement packages, 67 paid holidays, three weeks paid vacation, unlimited paid sick days. Now that’s welfare, and they have the nerve to call my social security retirement payments entitlements? We’re “broke” and we can’t help our own Seniors, Veterans, Orphans, or Homeless. Yet in the last few months we have provided aid to Haiti, Chile and Turkey. And now Pakistan……home of bin Laden. Literally, BILLIONS of DOLLARS!!! And they can’t help our own citizens in New York and New Jersey! They call Social Security and Medicare an entitlement even though most of us have been paying for it all our working lives, and now, when it’s time for us to collect, the government is running out of money. Why did the government borrow from it in the first place? It was supposed to be in a locked box, not part of the general fund. Sad isn’t it. Please pass this on, Thanks!